Several experiments done on a 100W SBMV for 230V mains. 1. Lamp at full power without dimming. ML 100W at full power normally run the filament higher than SBMVs of higher wattages so while you still can see with a naked eye a difference in black-body temperature in comparison with incandescent bulb, with a camera it is hard to set it in a way that would pronounce the difference between the filament and the burner. 2. Cold lamp on lowest dimmer setting. A cold lamp strikes in such a way that filament does not glow and the arc is dim enough that the whole bulb is pink, due to fluorescence of phosphor coating, exactly like in a normal MV just after start. 3. and 4. were made after turning the dimmer up to 100%, allowing the lamp to run up to full brightness and then turning back the dimmer to lower setting. The lamp goes off but when it restrikes after a while, the arc is stronger than in a case of a cold lamp and much more bluish-green. 3. Low dimmer setting but higher than the lowest setting, filament is glowing a little bit. 4. Lowest dimmer setting like in 2., difference in arc due to different physical temperature, no glow from the filament. Worth noting is that the arc isn't exactly stable and continuosly jumps between normal electrode and neighboring starting electrode (SBMV for 230V mains have a starting electrode like normal MV lamps). Different photos were made with different exposure so the brightness from different situations is not up to scale. Such behavior might be also specific to ML 100W, I do not have higher wattage SBMV to test but I suspect that they may not strike at all on the lowest dimmer seting. This lamp is for vertical base-up burning position. 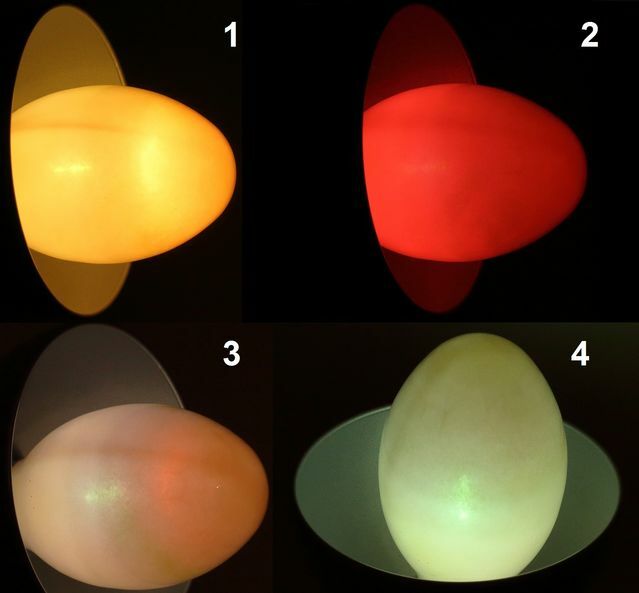 Operating it in other positions, may results in the arctube not warming up enough from the heat of the filament, resulting in a short lamp life. As 120V SBMV have heating eletrodes they should start around 50% dimmer setting or more and when the setting will be lowered after achieving the arc, bimetalic switch may turn heating electrodes on again and extinguish the arc. When the lamp is hot, the bi-metal takes time to cool down and close, and it determines the cooling down period of 120V SBMV lamps. Shame that I don't have higher wattage SBMV to test how they behave. 160W SBMV lamps should be easy to reach. Also: Your lamp is for operation at vertical base-up burning position because of the space between the arctube and the filament. Otherwise it would have shorter life. I know, I just put it in horizontal position to make widescreen photos.